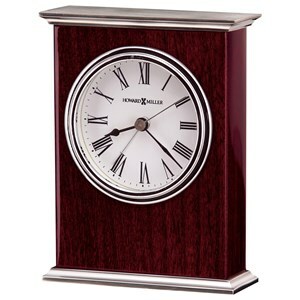 Stunning and simple, this mantel clock is sure to bring timeless style in your home. 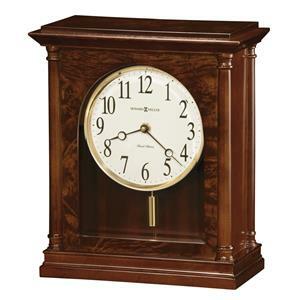 The piece carries Windsor Cherry finish on select hardwoods and veneers while the brass-finished dial offers a silver chapter ring and decorative corner spandrels. 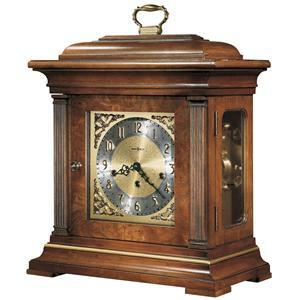 Plus, key-wound, Westminster chime movement with chime silence option and durable bronze bushings is also included. 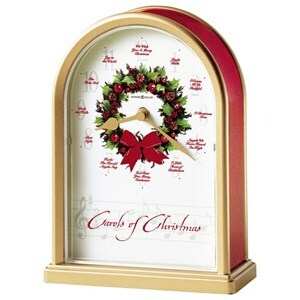 Add easy elegance to your living room decor with this beautiful mantel clock. 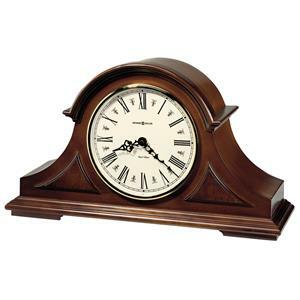 The 612 Graham Bracket Mantel Clock by Howard Miller at Stuckey Furniture in the Mt. Pleasant and Stuckey, South Carolina area. Product availability may vary. Contact us for the most current availability on this product. 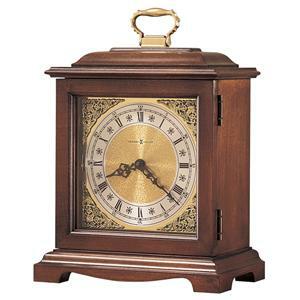 Chime Description Key-wound Westminster chime movement with chime silence option. 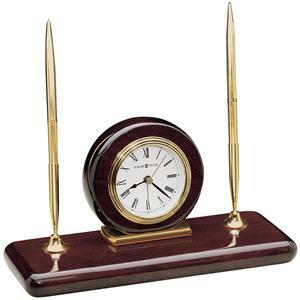 The 612 collection is a great option if you are looking for furniture in the Mt. Pleasant and Stuckey, South Carolina area. 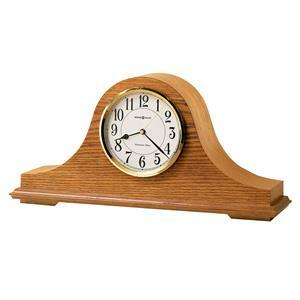 Browse other items in the 612 collection from Stuckey Furniture in the Mt. Pleasant and Stuckey, South Carolina area.